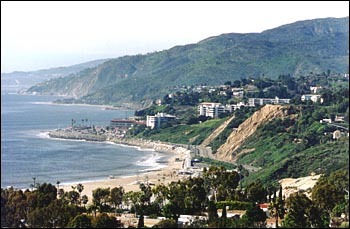 Los Angeles Executive Limousine provides limo service in Pacific Palisades, CA. Los Angeles Executive Limousine is an established ground transportation company reaching all over the greater Los Angeles and Southern California. We provide dependable and safe LA Car Service with a wide category of vehicles embracing Sedans, Hummer Limousines, Lincoln Town Cars and Limo Party Buses to convince all budgets in all occasions. We don’t charge travel time to pick up in Pacific Palisades. We do not charge travel time to pick up for any airport transportation limousine in Pacific Palisades. You don’t pay us until and unless it is the pick up time. Affordable Limousine Airport Transportation for Pacific Palisades. We accomplish airport trips from Pacific Palisades to any major and regional airports: LAX, Burbank Airport, Orange County Airport and Long Beach Airport. We have flat rate system for airport limo transportation. Make your wedding day even more special in our exceptional wedding cars and stretch limousines. Our sophisticated limousines are available for all kinds of functions and parties.